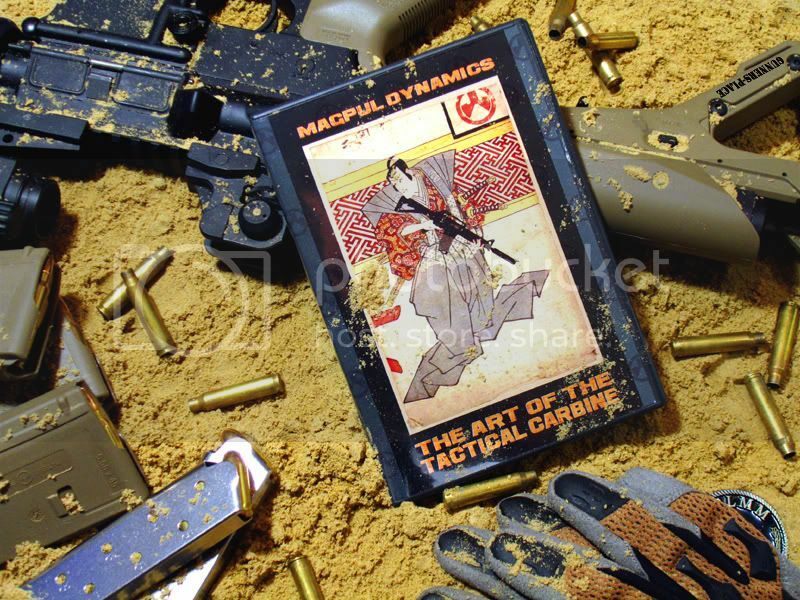 [ARCHIVED THREAD] - Review: "The Art of the Tactical Carbine"
Magpul-Dynamics is a branch of Magpul-Industries. They have specialised themselves to firearms and all kinds of tactical training. Beside the standard program they offer classes for VSBB and aerial sniper-support, defensive off-road driving and tactical training under HAZMAT conditions. Travis Haley the president of Magpul-Dynamics and Richard Fitzpatrick, president of Magpul-Industries meet during there tours in the Marine Recon/Force Recon. The director of training, Chris Costa, served several years with the USCG and worked the last few years for the DOHS, as a contractor for several types of tactical training in unconventional environments. 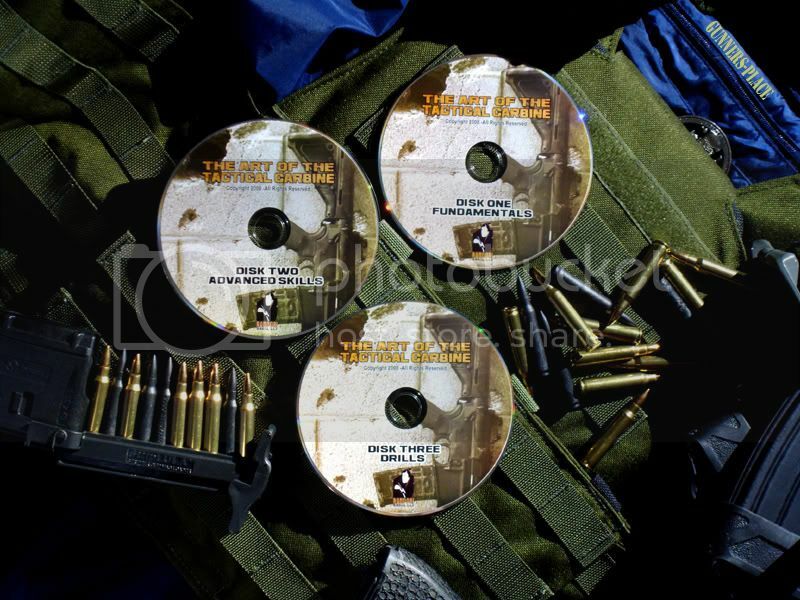 The DVD-Set „The art of the Tactical Carbine“ is a collection of intensive fundamental and advanced combat-carbine training, drills and other useful hints for any carbine operator. The training is based on the AR15-weaponsystem, but except a few typical AR15 manipulations you can adopt most of the material for any type of self-loading-rifle. The Set is made up out of 3 DVD´s. The first Disk is all about fundamentals: magazine placement, optics and accessories, battle sight zero, iron sights / electronic optics, shooting stance, weapon grip / recoil control, speed- and tactical reloads, solving malfunctions, shooting on the move, natural and improvised shooting positions, individual and team barricaded drills. On the second DVD of the set you learn about the advanced skills: individual and team stress drills, rapid threat analysis & acquisition, weapon transition, advanced shooting on the move, multiple target engagement, weapon and reaction side barricade drills, advanced individual and team barricade drills and the “check-drill”. DVD # 3 has a lot of features on it. You can go to 23 different drills from the first and second DVD. Each drill is shown in full speed (and Travis and Chris ARE fast) in 50% and 30% slow motion from different camera angles. Later on Chris Costa is talking about weapons accessories, disassembly and maintenance of the AR15-System and weapon storage and travelling with your gun. The difference between this set and most other training stuff I have seen is, that this training film is not a monolog by an individual. The viewer is like a “ghost shooter” imbedded in the Magpul-Basic-carbine-Course on the first and the Magpul-Advanced-Carbine-Course on the second disc. The First course is held by Travis and Chris together. Both are animating the class in a very friendly but very serious way. What I like is that they don’t use the well known “my way or the highway” method but rather than that they acquire the techniques with the participants. By the way, this is also the way I like to go. The Instructors live what they teach and sometimes they show it of with breathtaking speed and accuracy. Breathtaking is also the speed of Chris Costa’s comments. He has most of the text in this production and he is talking very clearly and he is good to understand. But if you wait for a breather, you’re lost. But this will do not any harm to the quality. Just on the 3rd Disc when he is talking about weapon accessories, maintenance and travel it is still very clear but it gets a little hard too. But may be, its just me. The shown manipulations and manoeuvres are rational. Every shooter, depending on his/her skills, can adopt the techniques very easy. The philosophy of Travis Haley and Chris Costa is definitely speed and communication in the team. Besides the actual training it is a lot of fun to watch the first two DVD several times again. My wife was very interested in what she saw and would have loved to join the training at the class. Of course I was in the same boat. The very well trained combat-carbine-slinger will not see too much new stuff. But you will may see quiet a few options and helpful suggestions for advanced tactical carbine training. Over ten years ago I bought a couple of training-movies from “The Burner”. It helped me a lot back then but it also cost me about an arm and a leg. Compared to that, the Magpul-DVD-Set is quiet affordable. The camera work is also worth mentioning. Static takes in front of an old batik-curtain are history. The camera is “running” with the shooters or it is mounted to the carbines, in both directions! I really like the way they made it and it reminds me on modern action-movies. When the action starts and the view is jumping back and forth between 3-4 different camera positions, the audience needs to pay attention. Is this positive or negative for the individual viewer? I can’t tell. I guess this is up to every single observer. Well, at least I like it. Overall the set impressed me and I like to watch it more often then other training-movies I have. It’s bringing up a fresh breeze in some of the dusty collections and it covers a quiet large area of the needs a carbine operator has. The whole system is build up in a way, that an individual or a team can train separated segments or combinations. Well you have convinced me to order this DVD program instead of turning on the heat to my house this month. Good thing I have extra blankets for on the bed! Exelent Review. It's spot on. Just received my copy last week. The instruction is clear and concise. You don't just learn the what and how, but also why. One of the things that sets this training video apart is most of the shooting is done by the students. You get to tag along as the instructor takes the student through the drill and watch as they work through the problems/failures that present themselves along the way. This is one dvd you will watch many times, and be able to learn something from it each time. I love disc three. It takes all the lessons presented in the first two discs and presents the drills in a manner that makes for easy review. I mostly enjoyed the DVDs. There are many spots where they did something janky with the encoding and sped something up or slowed it down that causes a weird blocky effect, though. On disc three, there is a spot where Chris says something like "this is the bolt carrier" and the camera guy zooms in on the charging handle; a lot of the (non-drill) material on disc 3 would have been better served with another take. That said, the editing and camera work on the first two discs are great. The non-drill material on 3 was obviously filler, though. Compared to the high quality of the other material, it really suffers. Worth the $40? Hell yes. Ordered mine through Amazon, $2.98 shipping. Ordered mine through Brownells today. Can't wait. That was a cracking good writeup! I'm hoping Santa brings my copy. I ordered mine from magpul earlier this week. Can not wait to get it in the mail!